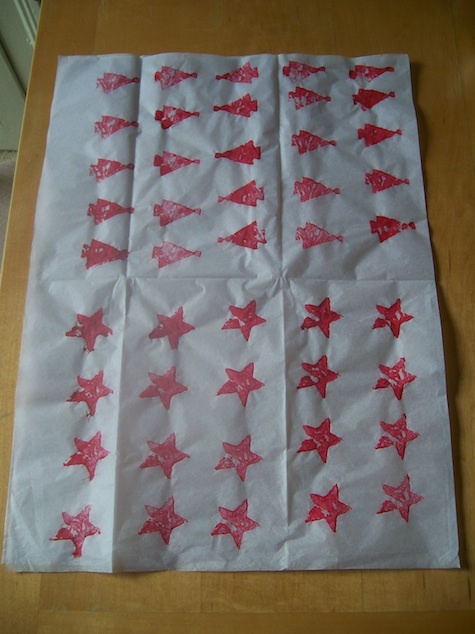 Christmas Crafts for Children - Make Your Own Christmas Wrapping Paper! 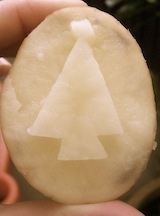 Christmas crafts for children are meant to be fun and easy, but they can also be really really useful! 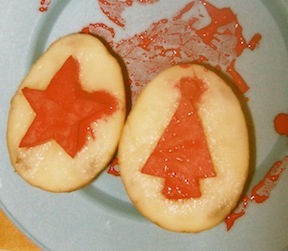 Printing your own Christmas gift wrap with potato prints means you don't have to go and buy it, and you have something much lovelier to parcel up those family presents. 3. Take a large piece of paper (we used tissue paper but you could you coloured paper) and a plate smeared with poster paint. Happy Printing! 4. 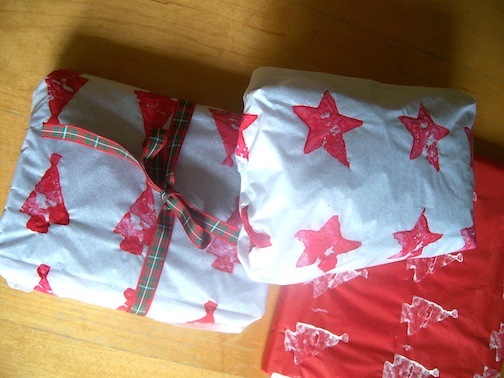 When dry, wrap presents up with these sheets and tye them with some contrasting coloured raffia or ribbon. Beautiful!